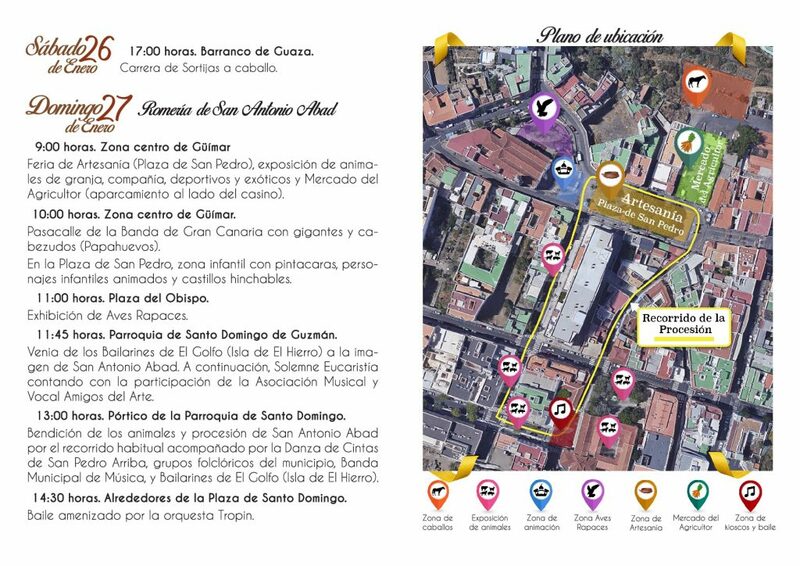 This weekend also Güímar celebrates it's fiestas in honour of San Antonio Abad with the Craft Fair in the Plaza de San Pedro and Farmers' Market starting from 9am on Sunday 27 January 2019, as well as the Livestock, pets and exotic animals on show. There are kids' entertainments from 10am, an exhibition of birds of prey at 11am in the Plaza del Obispo and mass at 11:45am in the Church of de Santo Domingo de Guzmán. At 1pm the blessing of the animals takes place and the procession leaves from the church and makes its way through the streets, accompanied by dance troops, folk groups, the town band, etc. 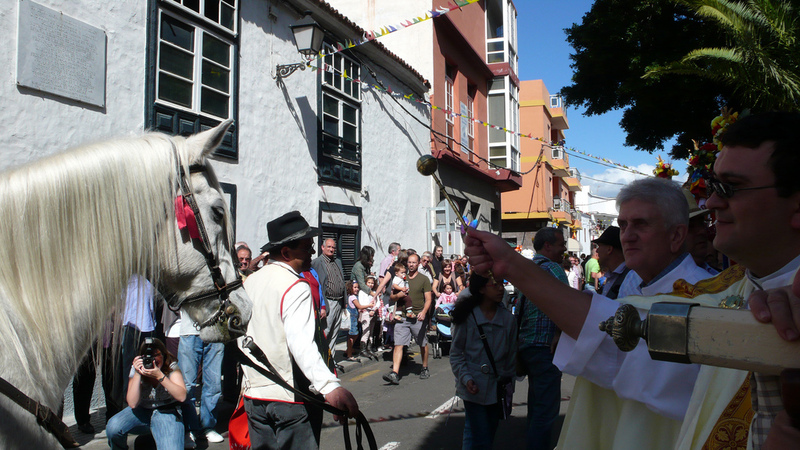 From 2:30pm there is dancing to Orquestra Tropin in the Plaza Santa Domingo.